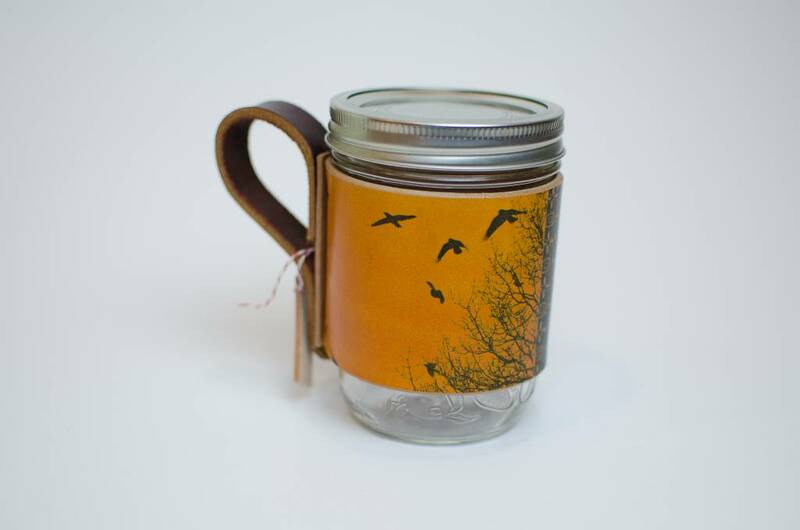 Flock of birds with tree detail on leather mason jar sleeve by Flight Path Designs. This yellow leather mason sleeve features imagery from Flight Path's series of belt buckles along with copper rivet detailing. The 'Migratory birds' image is permanently set onto leather, revealing the subtle textures of the grain. The sleeve is not only stylish but functional as it insulates both hot and cold drinks and becomes portable with the lid attached. It fits snuggly but can be slipped on and off for cleaning. Paired with a favourite bevy this is a great alternative to traditional portable cups. This item is made for 16oz mason jars. 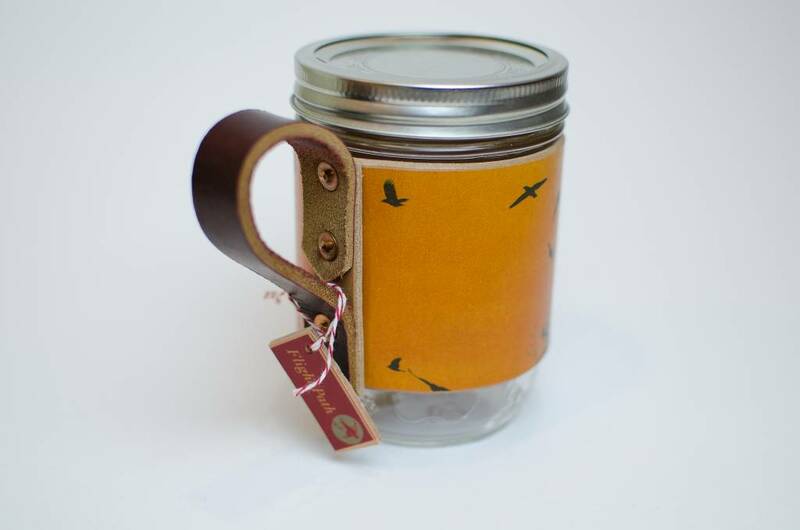 Mason jar is included with the sleeves. Handmade by Flight Path Designs in Vancouver, BC.